Click the map to search for retirement options by province. The choices available in seniors' housing include everything from living in your home, with home care, to progressively higher levels of support as we age. The Care Guide can help you through the maze. Search for providers who offer the services you need, or look through the website to get a better understanding of the levels of care that are available - the full spectrum of choice. That's why The Care Guide brings you information and resources to facilitate that. Everything from Home Safety, including safety proofing your home in general and for those with memory care issues, to renovations, like making accessible bathrooms, the tax incentives to renovate and more. We also give you information about Community Support Services, such as meals, social and transportation services, Adult Day Care, Senior Centres and Home Care Services that are available to make living at home easier for you and your caregiver. Health and Wellness gives useful information about Diets, Physical and Mental Exercise and Emotional Well Being. And our Caregiving Section addresses issues around caregiving. Community Support Services help to support a person's independence in their own home. Services are non-medical in nature and include meal preparation/delivery, transportation, security checks and friendly visiting. They are delivered in your home or in the community by senior centres, adult day care programs, or others. Organizations that provide these Community Support Services can be both for profit or not-for-profit. Most of the home care is government funded home care that is provided to get seniors out of hospital or rehabilitation beds. If you need home care for yourself or a parent, you need to go through each provinces central access system. Private pay services are on the increase as families increasingly deal with caring for a parent, and are accessed directly through the provider. Try to set up the caregiving routine to meet the needs and mood of your older relative. Don't force him or her to take part in activities they don't want to, but encourage joining in those they enjoy. Becoming a caregiver to parents involves major changes for all concerned - physically, emotionally, socially and financially. If you've decided that staying in your own home is best for you, the Care Guide strives to provide you with some resources to help make sure that you do that safely. Advances in medical technology have made it possible for you to live a third of your life after retirement. In 1970, life expectancy in Canada was 69.3 years for males and 76.3 years for females. Today, life expectancy in Canada is 78.8 years for males and 83.3 years for females. Retirement Homes refers to congregate living housing for older adults, typically private pay, that also offer care and other supportive services in independent supportive living, assisted living and memory care. 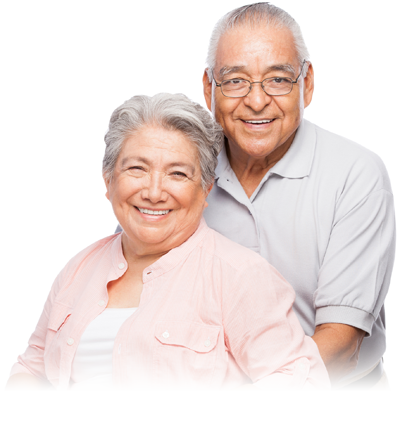 Independent living for seniors refers to a housing complex designed exclusively for older adults. It typically refers to apartment accommodations - rental, condominium or life-lease that have minimal services. A seniors' residence that offers additional supportive services such as meals, social activities and housekeeping is referred to as "Independent Supportive Living". It typically refers to apartment accommodations - rental, condominium or life-lease designed exclusively for seniors. In senior housing options - assisted living refers to the provision of services that allow residents to age in place, a retirement home with light to medium supports before having to move to a nursing home or long term care home. Assisted living services typically include personal assistance with bathing, dressing, grooming, washing, oral hygiene, eating, gentle reminders, help with the administration of medication and wayfinding for those with mild Alzheimer's disease or other dementia. Nursing services are typically provided. Costs may or may not be government subsidized. The places that provide care to the most frail in our society are referred to as Long Term Care Homes, Nursing Homes, Extended Care Homes, Intermediate Care Homes, Homes for the Aged, Old Age Homes, Special Care Homes, Residential Care Homes, Continuing Care Homes. They are for people who can no longer live independently and who require high levels of care, including nursing care and memory care. Residents need assistance with many of the activities of daily living, including personal care - help with personal hygiene, bathing, dressing, grooming and eating, to nursing supervision, skilled medical and nursing care. Because of limited government budgets, they have become places for those with complex medical needs. In the early stages of Alzheimer's disease, many people live safely at home - helped by memory cues like lists and notes. As the disease progresses and memory loss becomes more acute, safety - for both the caregiver and the person becomes an issue. Hospice and Palliative Care Hospice Care is a philosophy of care that focuses on comfort and quality of life for persons with life-threatening and terminal illnesses. Memory care is a specialized form of assisted living. How much does it cost to retire in Canada? For years we have been told that living in a retirement residence can be as cost effective as staying in your own home. We would like to know how accurate that is. Take a look at the results so far. Click to participate in our nation-wide survey.